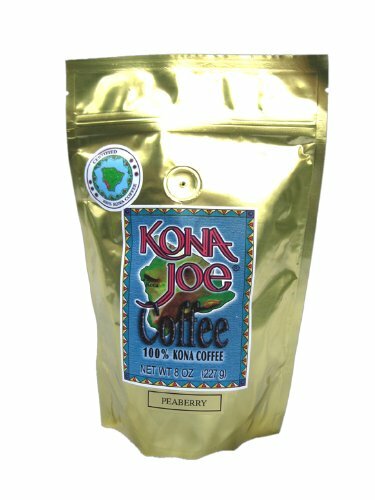 Arguably the most exquisite coffee in the world, Kona Peaberry can be found in boutique shops for more than $70 per pound due to its unique taste and rarity. Its smooth, slightly spicy taste is much more flavorful, with less caffeine and much less acidity than any other coffee. This football-shaped bean grows naturally with the rest of the Kona coffee crop but accounts for only 4% of the total crop. 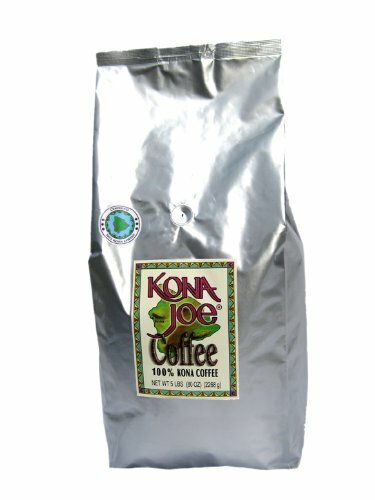 If you have never tried Kona Peaberry, we highly recommend it. 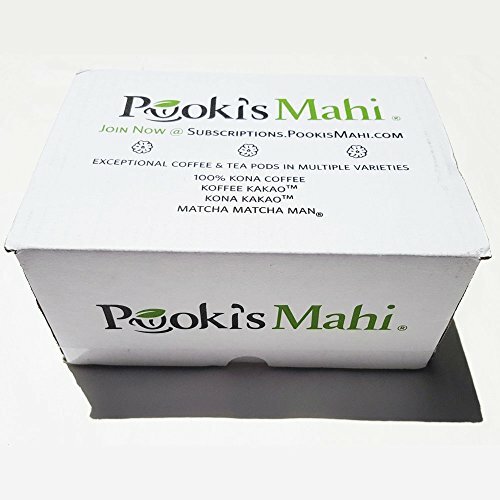 Pooki's Mahi Kona KaKao 100% Kona coffee, Peaberry pods made from organically grown and naturally dried 100% Kona coffee Peaberry beans from Hawaii in a 100% recyclable mesh pod with CA Prop 65 warnings. Ideal for environmentally conscious customers looking for earth friendly pods. Our medium roast is chestnut brown in color, producing a delicate and mild coffee. 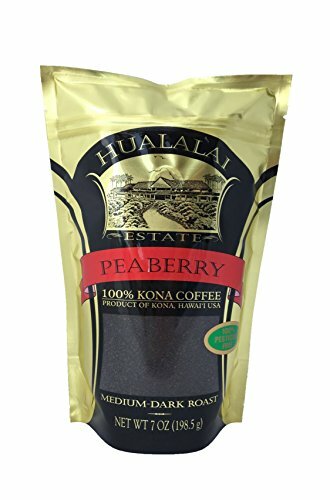 Arguably the most exquisite coffee in the world, Kona Peaberry can be found in boutique shops for more than $70 per pound due to its unique taste and rarity. Its smooth, slightly spicy taste is much more flavorful, with less caffeine and must less acidity than any other coffee. This football-shaped bean grows naturally with the rest of the Kona coffee crop but accounts for only 4% of the total crop. Crisply sweet, balanced. Ripe lemon, cocoa chocolate and a hint of cedar in aroma and cup. Silky mouth feel. Peaberry is the special bean that is created when one of the beans in the cherry does not develop. It stops growing when it is just a tissue sliver, and the other bean is left to develop inside of the cherry. As a result, this particular bean that is left, takes on an egg-shape. Tasters and avid drinkers explain how the peaberry packs a more intense flavor. The coffee is the rarest coffee of all, with less than 4% of the crop yielding the high quality bean. Let's start with the Kona peaberry coffee beans. The peaberry Kona coffee beans featured in our pure Kona peaberry are a rare variation on the standard coffee cherry. It occurs when the Kona coffee cherry yields only one bean, instead of the usual two. As a result, peaberry Kona coffee beans are round and dense, and deliver a cup with incredibly full flavor. Kenneth Davids, one of the world's foremost coffee experts, says Kona peaberry coffee beans are "more buoyant and more complex... than comparable normally shaped beans." Then, let's get to the 100% Kona coffee beans. #1-Peaberry Kona coffee beans are the highest grade of Kona beans, which are selectively hand-picked and wet-processed by dedicated farmers on small estates across the Kona coffee growing region. 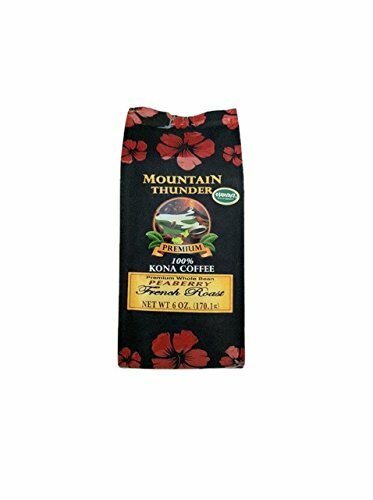 Each remarkable cup of pure peaberry Kona coffee is medium-bodied, with mild to lively acidity. Our 100% Kona Peaberry coffee beans are overwhelmingly aromatic and bright, replete with delicious nutty, buttery tones. About The Coffee Store: Founded in 1974, The Coffee Store is the first specialty coffee shop in Hawaii. We are a small-batch roaster of the finest Hawaiian and international coffees, including 100% Kona. 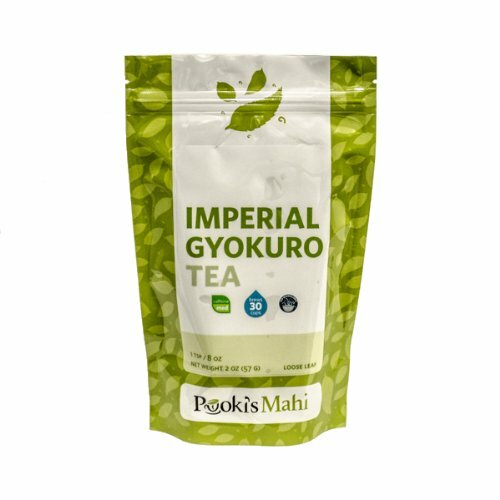 We supply our coffee, roasted daily, to select locations on the island of Maui, as well as to all our customers around the world by mail-order. Gyokuro tea bushes are carefully shade grown for about three weeks prior to harvesting in order to protect them from sunlight. This process results in maintaining elevated levels of chlorophyll and resulting in a rich green color, a memorable aroma followed with a sweet taste. The theanine (amino acid) content of the leaf increases; the tannin in the tea does not.